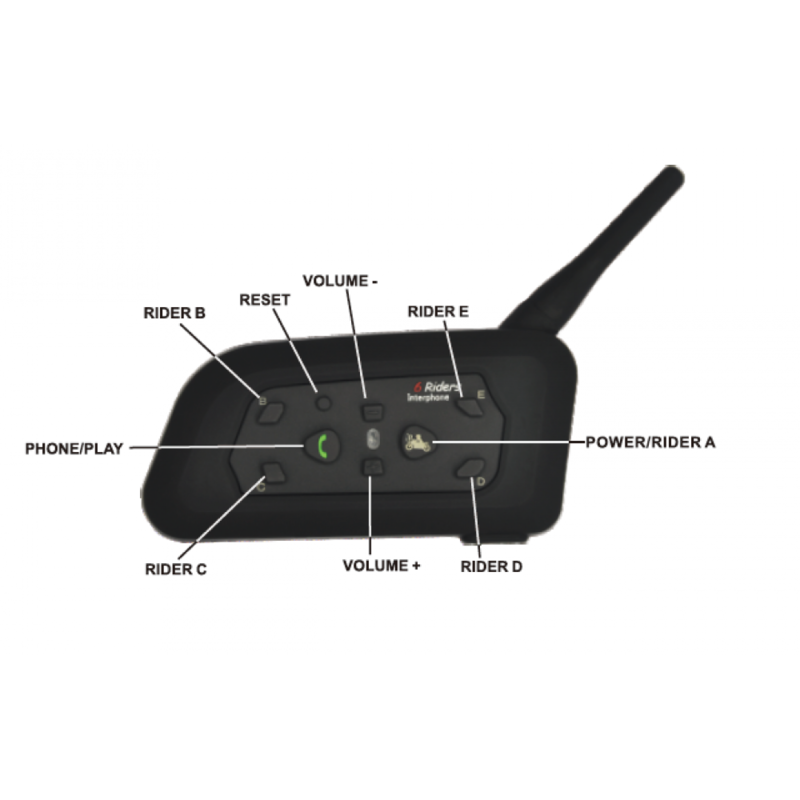 This device allows users to have hands-free access to their mobile phones, supporting calling features such as voice dialing, auto receive, auto reject /hang-up calls, and last number redial. To answer calls, users can press button or set it up on auto answer (requires to setup phone to auto answer). Special feature to allow up to 6 users to communicate (2 at a time) via built-in intercom system. All users can communicate via intercom at the same time, up to 4,000 feet (1,200 m) apart from each other. 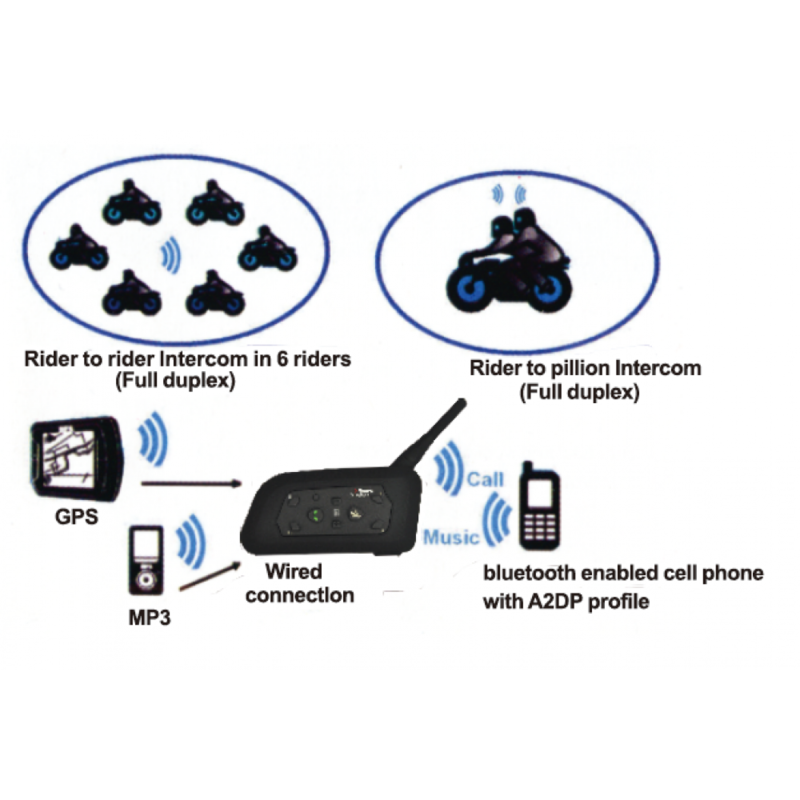 It can connect to Bluetooth-enabled GPS systems, allowing the users to listen to GPS voice instructions. Users can listen to music on their or mobile mp3 music app, or Bluetooth-connected MP3 players, with built-in music controls for play/pause, and next/previous track/song. Designed and engineered for Heavy-Duty Performance. All Weather Water Resistant. Button panel is water-proof and sun-proof, while the design is durable. DSP noise reduction and high-speed processing to ensure a clear call quality. With DSP echo cancellation and noise suppression technology, crystal clear voice quality is guaranteed in a high speed. 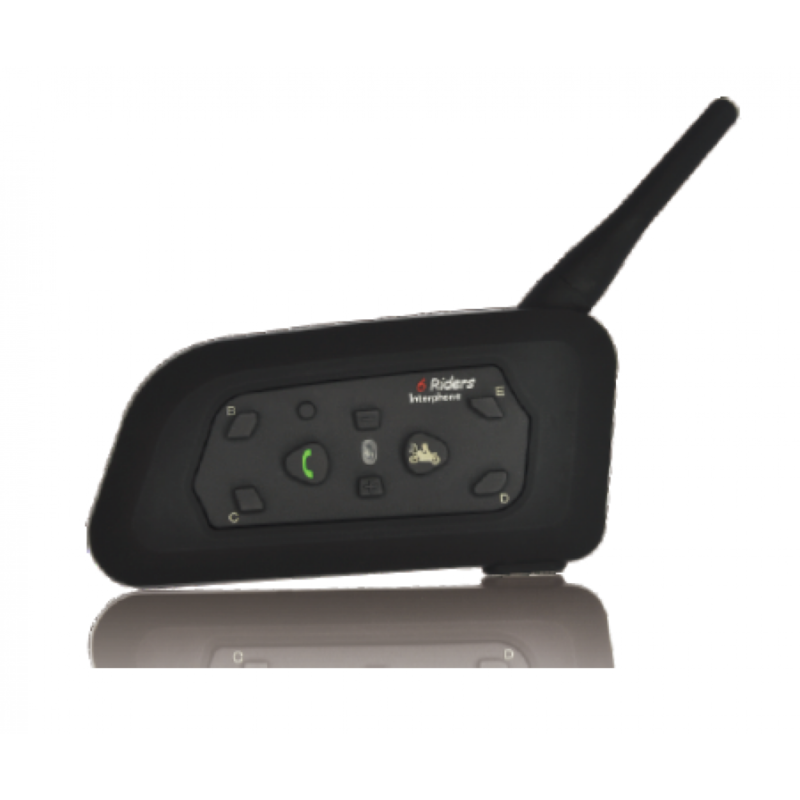 ▶ This device can communicate wireless with paired Bluetooth enabled cell phone or GPS system at a range of up to 30 ft (10 meters) apart. 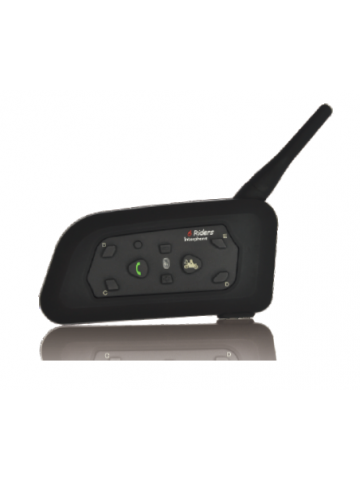 ▶ It can connect to cell phone and GPS system (simultaneously). ▶ It can provides up to 300 hours standby between charges. - Answer calls (push button or set auto answer). - Refuse/hang-up calls manually or automatically. - Supports voice dialing and last number redial. 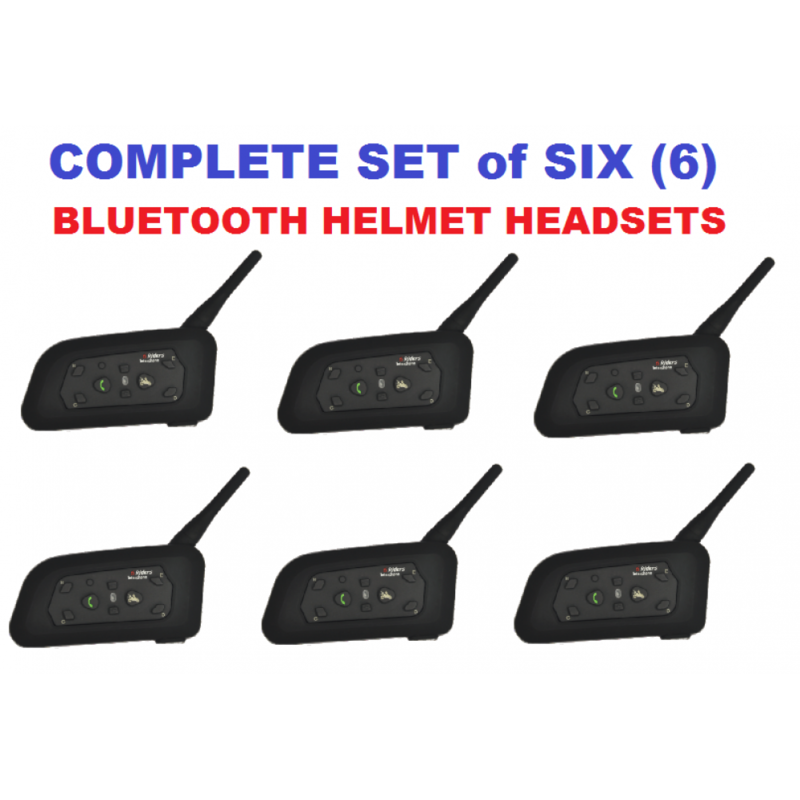 - It can provide up to 7 hours talk time when connected to cell phone. ▶ Auto switching between phone calls, intercom, and music listening. ▶ Music listening via mobile phone or built-in FM radio. Control music via AVRCP: Pay, Pause, Previous, & Forward. ▶ With DSP echo cancellation and noise suppression technology, crystal clear voice quality while traveling at high speeds (up to 75 mph or 120km/hr). ▶ Heavy-duty Button panel is water-proof and sun-proof to achieve maximum durability. ▶ Durable built-in Li-ion Battery 3.7V, 500mAh. 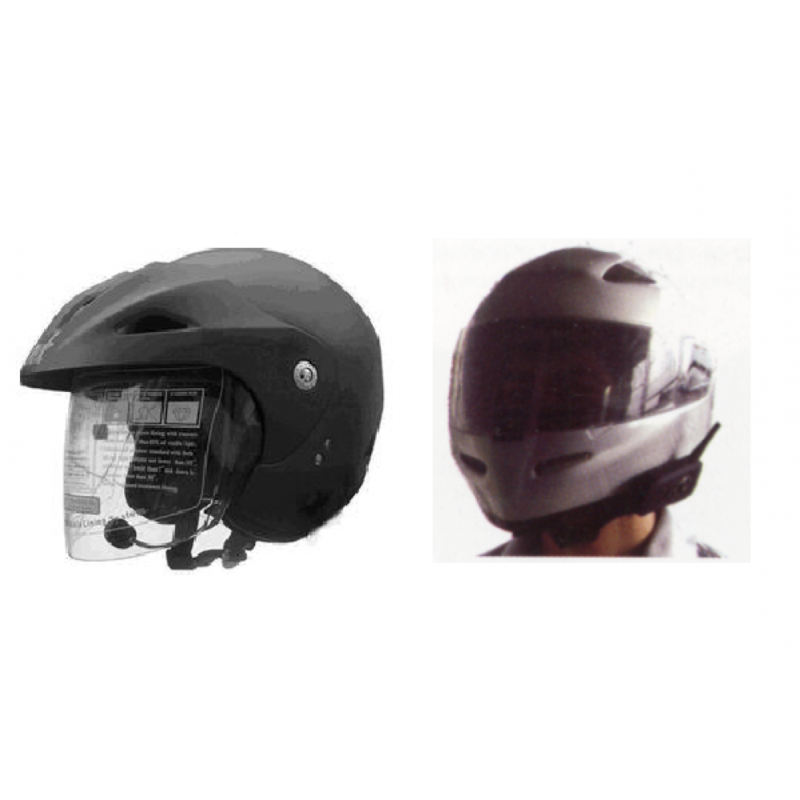 ▶ Compare this model (BT-IP-V6) with other Bluetooth Helmet Headsets available in the market.